I’m trying to reduce the amount of sugar I eat, partly for health reasons and partly for vanity. I’m starting to notice the wrinkles more and more and – dare I admit it, a turkey neck! – and sugar ages you. I’ll never be able to give up chocolate but sugar sneaks into things that don’t need it like breakfast cereals. There’s nothing worse than muesli with sugar in it or tea with sugar in it. Yuk. I no longer have any sugar on porridge either, instead opting just for fresh fruit. However, I love jam on toast and jam is packed with sugar. Recently I discovered these fruit spreads that don’t contain any sugar, other than the natural sugar in the fruit they’re made with. The flavour reminds me a bit of baby food but it’s much thicker, less watery, and has a richer taste. Both the Biona and Suma are very good and I can’t pick which I prefer. They’re both deliciously tart. The first signs of spring are popping up here with snowdrops and crocuses appearing all over the place. 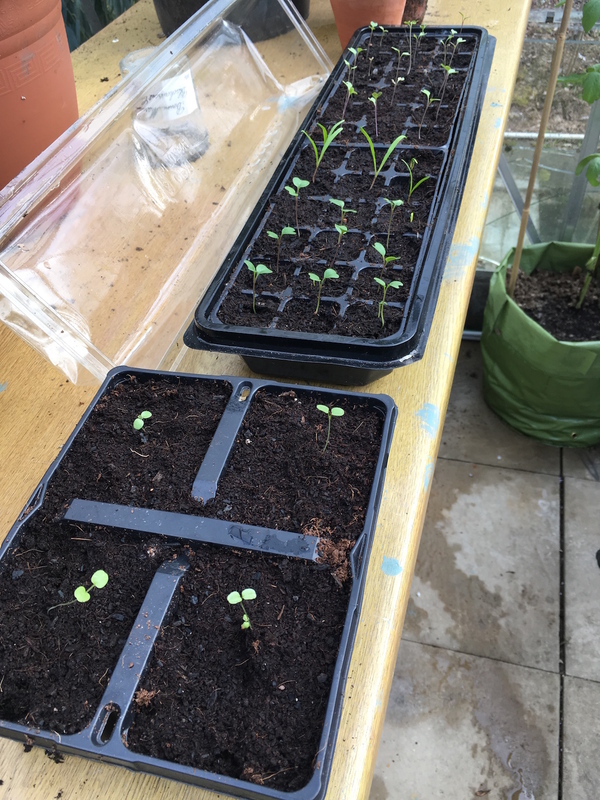 My greenhouse is also starting to get a lot of sun during the day and feeling nice and warm inside so I’ve started sewing seeds again. I planted a lot of seeds and as usual I can’t remember what I planted. I’m pretty sure there’s broccoli and spinach in this lot. 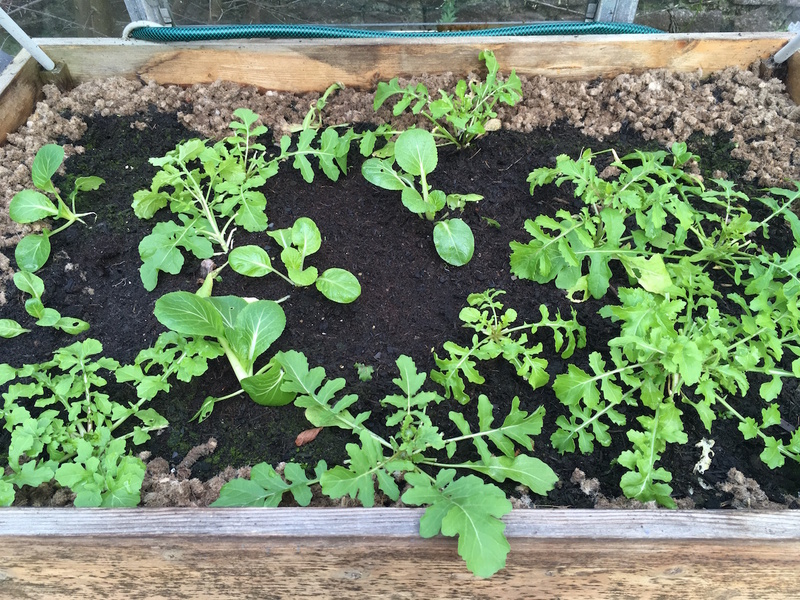 After doing nothing all winter my pak choi is also starting to take off. I put wool pellets around the edges of this garden bed in the hope it will deter slugs and snails. None of them have woken from winter yet so I’m not sure if it will work but it did make the greenhouse smell like sheep which was rather nice. These are the wool pellets. Has anyone used these before? Do they work? Here’s the view from the cycle path today. Posted in Journal and tagged gardening, greenhouse, health, jam, slugs, snails, spread, sugar, turkey neck. Bookmark the permalink. I’ve never heard of those wool pellets, but I think it’s a great idea. I’ll have to look for them here: I hate to put down snail bait. 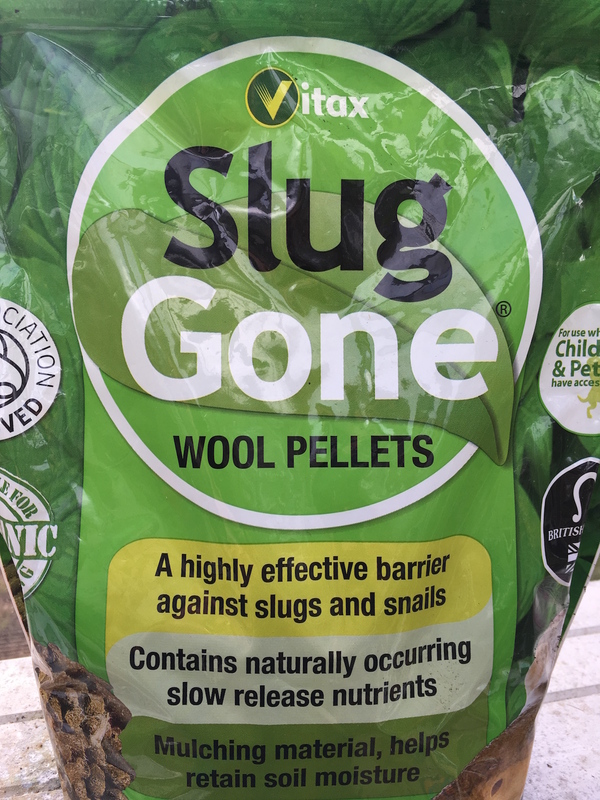 I’ll let you know whether the wool pellets work but I may have to wait several months to find out as the snails and slugs don’t usually appear until summer. Autumn is a nice season too – enjoy! I hope the wool pellets do work – it’s such a cool idea! Oh yes, I remember St Dalfour – I’ve had it before. I’d forgotten about it. I’ll get some in my next supermarket shop. Thanks, Valerie! Do you like Marmite? 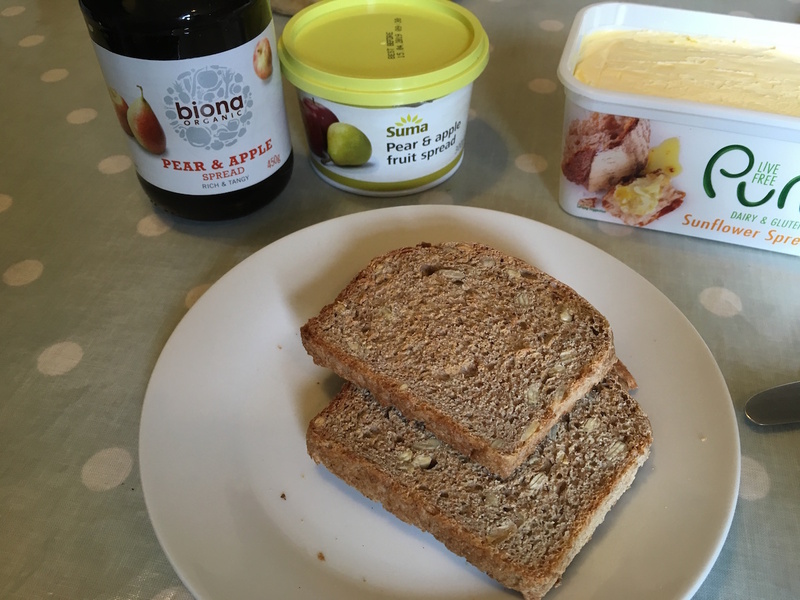 I’ve started eating that on toast instead of sugary spreads because I actually don’t eat that many meat products (although I couldn’t give it up completely) and get worried about missing out on the B vitamins. Those alternatives look great though, and I like the way you describe the taste. Seems much more like what fruit is really all about. 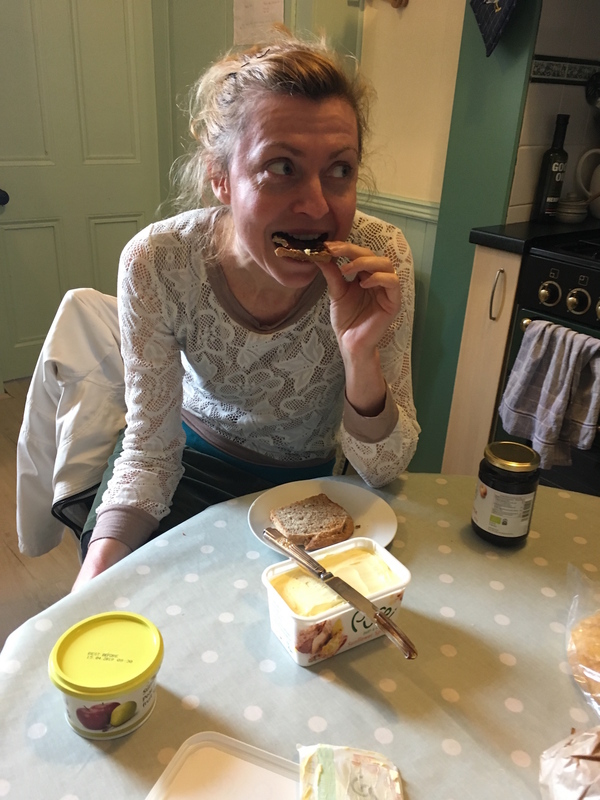 Yes, I love marmite and I have been a marmite on toast person for breakfast for years and years now. But for some reason last year I decided I wanted jam and now I just want jam on toast. I don’t know why. Maybe my body was craving vitamin C? Marmite is good for B vitamins and even has B12 which is sometimes lacking in vegan diets however my soy milk is fortified with B12 so I’m not so worried about that one. I really want jam too now, all this talk about jam! I’ve never used wool pellets but I nearly bought some to help with the slug-topia at the allotment last year. I’ll be interested to see if you have any luck with them. I’m not a fan of sugary muesli either; it just doesn’t taste right. Although it’s hard to find a decent one that doesn’t resemble dust or card. My search continues. Keep calm and carry on or panic and freak out?